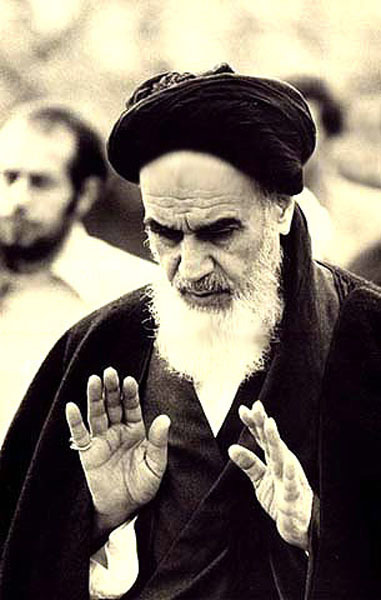 It may shock Iranians to learn in the 1940’s Grand Ayatollah Khomeini accepted the idea of a limited monarchy under the Iranian Constitution of 1906–1907 — as evidenced by his book Kashf al-Asrar and that Imam Khomeini had an interest in Sufism/Irfan will probably come as even more a surprise to many inside the Islamic Republic of Iran. The Imam’s chief teacher in Sufism was Ayatullah Muhammad ‘Ali Shahabadi (d.1950), to whom he respectfully referred in his own writings on ‘irfan as “our master in theosophy” (ustad-i ilahi-yi ma). He met Shahabadi soon after the latter’s arrival in Qum (probably in the late 1920’s), and the answer he gave the Imam to a question on ‘irfan convinced him that he was in the presence of a true master. After initially refusing the Imam’s request for permission to study with him, Shahabadi consented to teach him philosophy, but it was gnosis the Imam wished to pursue, and he persisted until Shahabadi agreed to instruct him in that discipline. Every Thursday and Friday, as well as on holidays, usually alone but sometimes in the company of one or two other students, the Imam listened to Shahabadi lecturing on Sufi texts on the commentary by Da’ud Qaysari (d. 1350) on the Fusus al-Hikam of Ibn ‘Arabi, a luminary of the Qadiri Order, the Miftah al-Ghayb of Sadr al-Din Qunavi (d. 1274), Ibn Arabi’s adopted son, also a Qadiri luminary, and the Manazil al-Sa’irin of Khwaja ‘Abdullah Ansari (d. 1089), a disciple of the great Naqshbandi sage, the venerable Khwaja Abul Hasan ‘Ali ibn Ja’far ibn Salman al-Kharqani. According to his biographers, the Imam’s interest in these Sufi texts, particularly the last Naqshbandi text, remained demonstrably with him throughout his life. His Sufi poems shed light on this aspect of his worldview. “Oh, I desire a cup of wine from the Beloved’s own hands. In whom can I confide this secret? Where am I to take my grief? A wild rue seed pod roasting in the fire. I became saturated with joy and ecstasy. volunteered my self for hanging. has burnt my entire existence. and my affairs became the talk of the town. and let us go there day and night. Because, I became disgusted with the Mosque as well as the Seminary. I took off the dress of asceticism and dissimulation. after wearing the cloak of a drunkard. The Imam’s concern that Sufism should be properly known expressed itself even in the foreign policy of the Islamic Republic of Iran. In a letter to Mikhail Gorbachev, leader of the Soviet Union, dated January 4, 1988, the Imam not only foretold the collapse and utter discrediting of Communism, with a prescience that outstripped the expertise of conventional Kremlinologists, but also warned against the spiritual and ethical chaos into which post-Soviet Russia has now in fact fallen. The essential problem confronting Russia, the Imam asserted, was not that of property, the administration of the economy, or personal freedom, but the absence of a valid faith in God. As a contribution to remedying the situation, the Imam proposed that Gorbachev dispatch Soviet scholars to Qum to study the Sufi works of al-Farabi, Ibn Sina, Suhrawardi, Mulla Sadra, and Ibn ‘Arabi. It’s interesting that they were all Sunni’s with the exception of Mulla Sadra and probably Ibn Sina. A rather interesting recommendation on his part. This entry was posted on August 16, 2013 by ASFC in Ahmed Amiruddin, Uncategorized and tagged Ayatollah Khomeini, Iran, Mansur al-Hallaj, Sayyid Ahmed Amiruddin, Sufism.